Many days have passed since October 23rd, 1993, when Joe Carter captivated our entire nation as he stepped up to bat against Mitch Williams in the bottom of the ninth inning, game 6 of the 1993 World Series. Rickey Henderson was the tying run on second and Paul Molitor represented the winning run on first. The count was 2-2, Williams through a fastball down and in, Carter kept his head down and hit a rocket over the left field fence! Pushing the Toronto Blue Jays past the Philadelphia Phillies 6-5 to end the series. 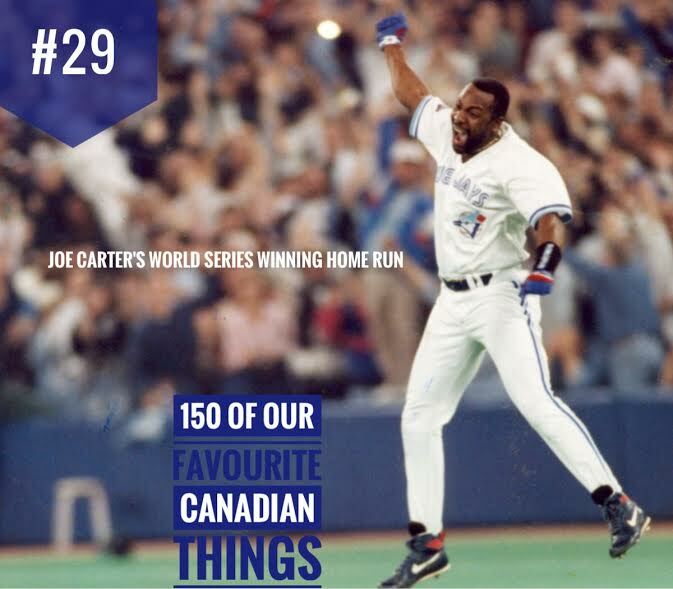 Joe Carter, Canadian Baseball Hall of Fame inductee since 2003, was only one of two people to ever end a World Series with a home run. Bill Mazeroski ended the 1960 World Series when Pittsburgh defeated New York in-game 7.